Again this year, Kelly and I spent the holidays in the desert, far away from the snow and ice plaguing much of the country. With plans to rendezvous with fellow nomadic travelers, we pointed Moose and the Airstream west. About 2.5 hours later we arrived to Quartzsite, AZ – a location many fulltime RV travelers will know (arguably) as the RV capital of the Southwest. At least during winter months anyway. 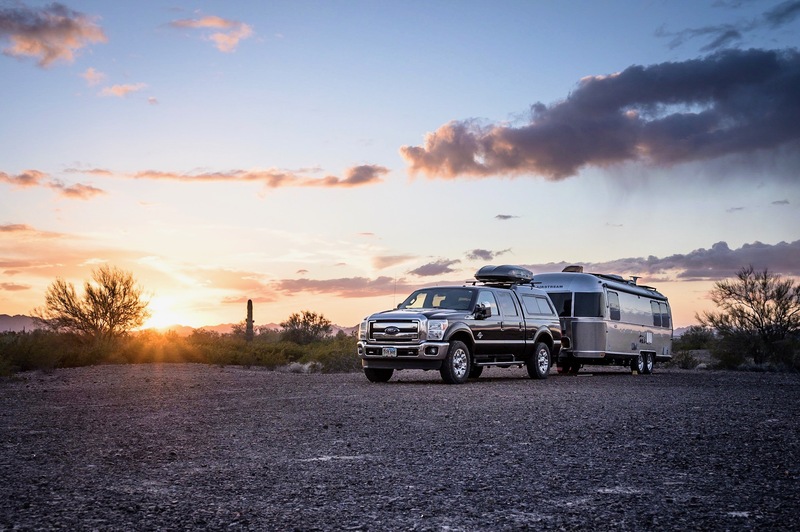 A town of 3,600 residents that swells to nearly 100,000 (yes – 100,000) during winter, Quartzsite is an RV mecca of sorts. When visiting this time of year expect big rigs and big crowds. Almost as if playing bumper cars with one another, most RVs situate close to town. Not us. With a goal to avoids the crowds, we set-up shop about 20 miles south of town on a sweet patch of BLM land adjacent to the Kofa National Wildlife Refuge. For ten days, the grounds were nearly empty as we shared hundreds of acres with only one other couple. Effectively the middle of nowhere, we felt right at home. Shortly after Christmas Day the New Year’s crew began arriving and we eventually peaked at ten total rigs. Kelly and I already knew most of the group, but did make a few new acquaintances. Our group could not have asked for better weather as bid adieu to 2016. We enjoyed a fantastic group pot luck dinner, champagne, and loads of good laughter as the calendar rolled over into 2017. Dave, Thanks for keeping us in the loop. We’re not as footloose and free as you guys but are still enjoying getting out on the open road and away from the crowds. We recently returned from a six week tour down, through mostly back roads, to Big Bend in Texas and then back up to Seattle on the coastal route. It’s always fun seeing how you, and others, enjoy your full time life. Happy new year to you, Kelly and the pooch.